The U.S. Attorney’s office has amended the complaint against Full Tilt Poker, an online gambling site, to note that it was run as a “massive Ponzi scheme.” FTP apparently didn’t have the necessary cash on hand to pay out the accounts of all its players, and earlier this year still owed $390 million. Site representatives said it was no big deal, though, since they planned to make most of it back in a hold-em game with A-Rod later this month. According to a report, the University of Oklahoma is willing to stay in the Big-12 if the conference agrees to certain reforms. The first reform is no more of those awful catered sandwiches at meetings. The second reform is to rename the conference “SoonerMania.” The third reform is to let Oklahoma and Texas go to the Pac-12. A three-run double by Robert Andino off Jonathan Papelbon doomed the faltering Red Sox to a 7-5 loss to the Orioles. Somewhere, anticipating the playoffs, Justin Verlander wore a wolf mask and licked his lips. The Rays couldn’t take advantage of the Red Sox loss, falling 5-0 to the Yankees as Ivan Nova won his 16th game. That puts the Yankees just one win away from clinching a playoff spot. Headline writers across New York asked manager Joe Girardi if he could wait until Nova’s next start to clinch, because they’ve been holding onto this “Champagne Super Nova!” idea for a while, and would hate to have to use the controversial “Bubbly Colon!” instead. Dallas Cowboys owner Jerry Jones said quarterback Tony Romo’s status for Monday’s game against the Redskins would depend on the pain level in his ribs. The team decided to go with that method after previous attempts to evaluate injuries by reading the entrails of slaughtered sheep had produced mixed results. The Washington Nationals swept a doubleheader with the Phillies on the strength of Ross Detwiler’s strong start in the night cap. Incidentally, this is the first story in About Last Night history that my editors insisted I confirm with ten different sources. Mark Trumbo’s three-run homer helped the Angels keep their playoff hopes alive in a 10-6 win over the Blue Jays. 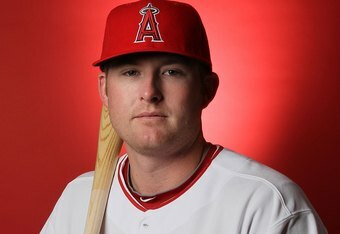 Trumbo is now two home runs and eight RBI short of matching the Angels rookie record set by Tim Salmon in 1993. 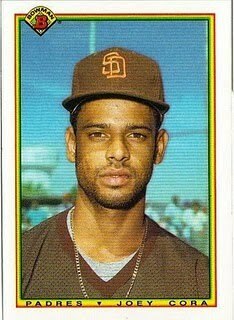 He’s also just three moody pictures away from breaking the major league record set by the great Joey Cora.